The Ultimate Physics Engine Plug-in for After Effects. Newton interprets 2D composition layers as rigid bodies interacting in a real environment. 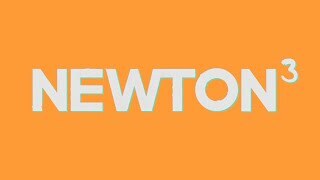 Newton 3 brings realistic physics to After Effects, making your 2D composition layers act like solid objects that interact with each other just like in the real world. It gives you many ways to control the properties of your objects, including type, density, friction, bounciness and velocity. You can also change world properties, like gravity. Whats more, Newton 3 allows you to create realistic joints between objects, so you can easily create complex motion. Once you complete your simulation, the animation is recreated in After Effects with standard keyframes, so you can adjust the timing however you choose.